It’s the diamond (75th) anniversary of the opening of our building this year, so we’ve got anniversaries on our mind. Therefore I was delighted to find out it is Helen and Peter Beattie’s 58th wedding anniversary today, and thought it was appropriate we do a little post on them. Helen was born and raised in Petone and they have lived here together all their married life. 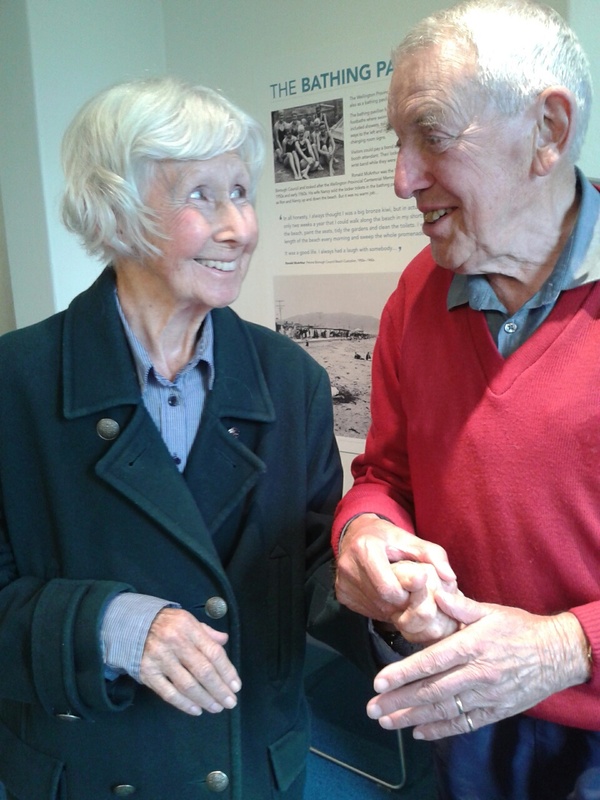 For the last three years Helen has sadly had to live away from home in care, due to her health, but Helen and Peter still see each other all the time and have a regular Sunday date to visit the museum. That’s right, they visit us every Sunday, rain or shine! Please join us in congratulating them on 58 years of togetherness and we look forward to seeing them again next weekend. This entry was posted in PSM, Visitor of the Week and tagged Diamond Anniversary, Wedding Aniiversary. Bookmark the permalink.